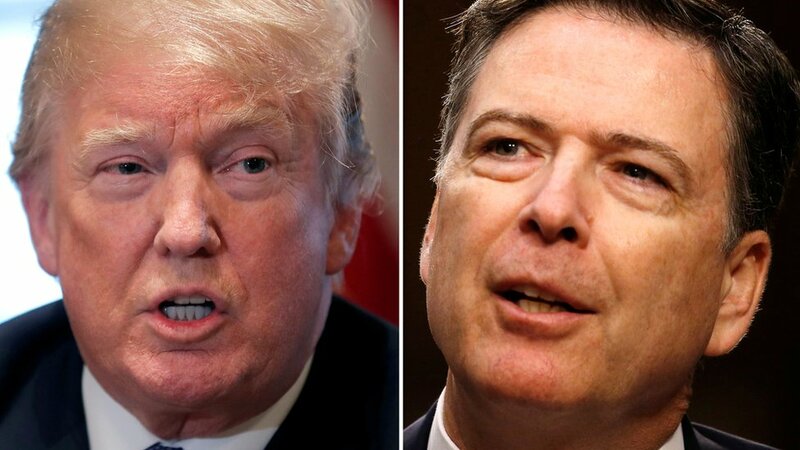 US President Donald Trump has attacked former FBI director James Comey over his “many lies”, suggesting he be jailed over his testimony to Congress. He also criticised Mr Comey’s forthcoming memoir, saying the “badly reviewed book” raises “big questions”. His comments come ahead of an ABC News interview with Mr Comey to be aired on Sunday as part of his book tour. The book – A Higher Loyalty: Truth, Lies and Leadership – reportedly paints an unflattering portrait of Mr Trump, who fired Mr Comey last year. According to excerpts of the book obtained by US media, Mr Comey writes that interactions with Mr Trump gave him “flashbacks to my earlier career as a prosecutor against the Mob. The silent circle of assent. The boss in complete control. The loyalty oaths. The us-versus-them worldview”. In the ABC News interview to be broadcast in full later on Sunday, Mr Comey discusses his handling of the FBI investigation into Democratic presidential candidate Hillary Clinton’s use of a private email server when she was secretary of state under then-President Barack Obama. He states that his assumption that Mrs Clinton would win the 2016 presidential election was a factor in opening the inquiry. Mr Trump said this decision was “stupid” in a series of tweets on Sunday in which he referred to Mr Comey as “slippery” and a “slimeball”. He also said that the former FBI boss was “not smart” and “will go down as the worst FBI director in history – by far!”, adding that his book was “self-serving and FAKE!”. The excerpts from Mr Comey’s memoir have infuriated the US president, who insisted that he “never asked Comey for personal loyalty” and the he “hardly even knew this guy”. Following the president’s tirade, Mr Comey tweeted explaining that his memoir was about “ethical leadership” and that Mr Trump was not the only subject of the book. 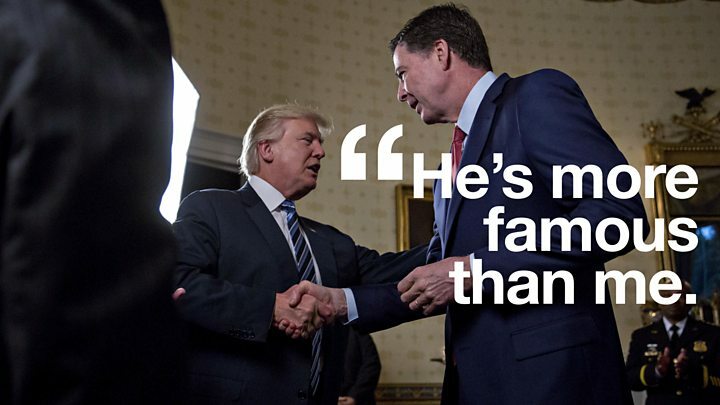 Mr Trump’s allies have also mounted an online campaign to discredit Mr Comey’s book, with a website that brands the nation’s former top law enforcement official as “Lyin’ Comey”. However, preview sales of the book have already made the memoir a bestseller on Amazon.